Home › Planning Your Trip › Do You Need Passport to go to Mexico? For the latest entry requirements for Mexico, visit the National Institute of Migration’s website, the Mexican Secretary of Tourism’s Manual on Tourist Entry, or contact the Embassy of Mexico at 1911 Pennsylvania Avenue NW, Washington, DC 20006, telephone (202) 736-1600, or any Mexican consulate. Do You Need Passport to go to Mexico from the US? According to the US Embassy in Mexico: “As of March 1, 2010, all U.S. citizens – including children — must present a valid passport, book or card, for travel beyond the “border zone” into the interior of Mexico. Entry by any means, for example by plane or car, is included in this requirement. The “border zone” is generally defined as an area between 20 to 30 kilometers of the border with the U.S., depending on the location”. 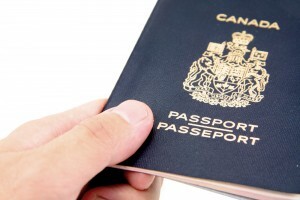 Do You Need Passport to go to Mexico from Canada? This requirement is also applicable to Canadian citizens as stated by the Canadian Consulate, as of March 1st, 2010, “all Canadian citizens need a valid passport to enter Mexico. Canadian citizens without a valid passport will not be allowed entry into Mexico and will be returned to Canada. In order to avoid delays and misunderstandings, we strongly recommend that you travel with a passport valid for six months after your arrival date”. This Mexican law shouldn’t affect Canadian or US citizens too drastically. I’m sure we all travel with our passports since we have to show them to re-enter the United States. You need a Passport – whether driving, flying, or arriving by boat the US requires a passport. Do you Need a Visa to go to Mexico? You do, however, need to have one tourist migratory form (FM-T) per person. These forms are obtained at the first port of entry, at the borders, or at Mexican consulates and embassies. Only domestic animals (dogs and cats) are allowed into Mexico. You will need a current rabies vaccination certificate, in case they ask you for it at the border. Illegal drugs, firearms and ammunition are not allowed in Mexico. Hunter’s firearms with proper paperwork are the only exception to this rule. Firearm possession carries a 5 to 30 year penalty in Mexico. Goods that you may bring into Mexico without paying taxes (from the Mexican Manual of Tourist Entry): You may freely bring your personal luggage and a variety of exempt goods that vary according to the route by which you enter the country. There is a permit for goods in addition to your luggage that you may bring into the country tax-free. 1. New or used goods for personal use, such as clothing, footwear, and hygiene products, so long as they are in accordance with the duration of the trip, and their quantity does not suggest that they can be the object of commercialization. 2. One photographic camera and one video recorder, and, when appropriate, their power source; up to twelve rolls of unused film or video cassettes; printed or filmed photographic material; one cellular telephone apparatus and one pager; one typewriter; one new or used portable computer, of those called laptop, notebook, omni book, etc. In this case it is not necessary to have the permit before importation. 3. Two sets of used personal sports equipment, as long as they can be transported by one person. 4. One portable radio apparatus for the recording and reproduction of sound, or one dual purpose. 5. Five laser disks, five DVD disks, 20 compact disks (CD) or magnetic tapes (audio cassettes) for the reproduction of sound. 6. Books and magazines, whose quantity does not suggest that they can be the object of commercialization.